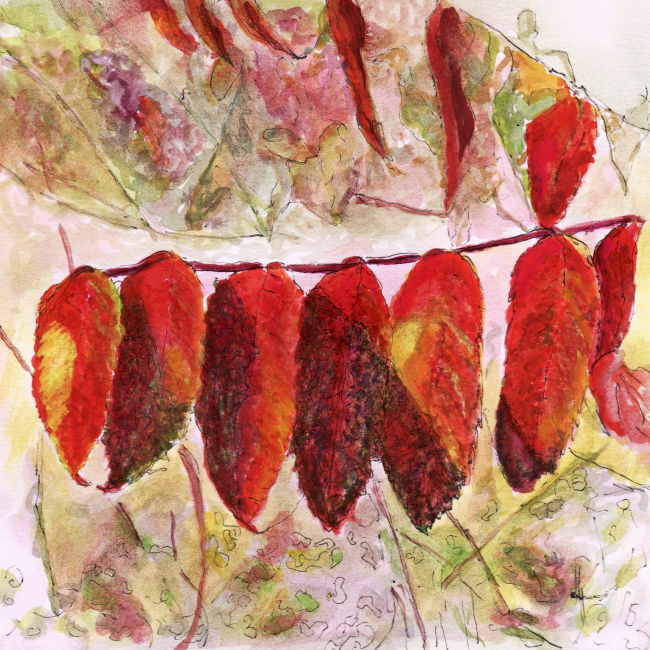 Known as sumac. Rarely do people drive for miles to see it's autumn beauty, but, they should. It is so pretty and much easier to photograph because it's leaves hang down in single file and the overlapping is minimal. I used pointillism (meaning is a bazillion dots) as the underpainting and I like the end result and the richness of the colors. I have found that watercolor is way harder to photograph or scan than oil or acrylic. Now go out and see some red leaves!